Fortune Bay Resort and Casino sits along the shores of Lake Vermilion, arguably, and most agreeably, one of the top 10 most beautiful lakes in the Continental United States. Interestingly, the area is also home to many Finnish and Scandinavian immigrants. Nearby Embarrass, MN, as example is home to many native Finlanders, even to this day. The combination of great Nature and sauna cultural heritage is a great nesting ground for this exciting mobile sauna project. “We anticipate the sauna as being able to open up lots of exciting things for our guests” says Garrett Lamppa, Director of Hospitality at Fortune Bay. And Garrett knows plenty about AUTHENTIC sauna. In addition to his duties at Fortune Bay, Garrett is a 4th generation sauna stove maker. His Great Grandfather emigrated from Finland to the United States and began building sauna stoves a century ago for friends, neighbors, and family members within a 20 minute drive of Garrett’s office. Health & Wellness: After golf at the Wilderness (rated one of the top couple public courses in Minnesota) or a hike or cross country ski, on sauna days, guests will be able to relax, reconnect, and unwind in this authentic wood burning sauna. 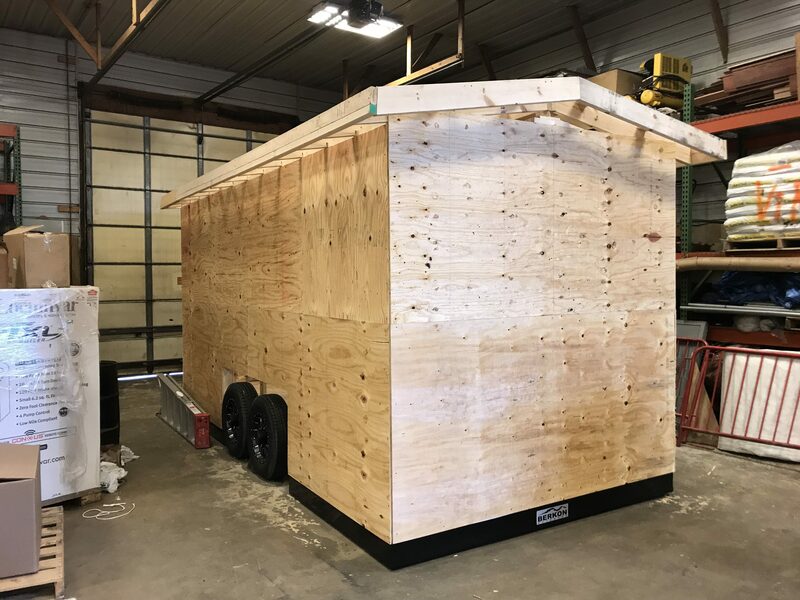 Cultural Heritage: Folks from the community who have grown up with sauna as part of the tapestry of their upbringing will be guest Saunameisters at the Fortune Bay mobile sauna, sharing their stories and methods for “good sauna” for guests familiar and new to sauna. Fun: Apres Ice fishing, snowmobiling, or skiing in Winter, or how about after a chilly round of golf or hike in Spring and Fall, Imagine stepping into round one of this spacious wood burning sauna, ready to restore and rejuvenate with friends and kindred spirits. This mobile sauna asset will be strategically deployed amongst Nature to help spread the fun for guests visiting Fortune Bay. We are embracing the “phase build” concept, where key decisions (hot room dimensions, window & door placements, etc.) are being made using field verification. This method has been embraced by the build team, executives at Fortune Bay, as well as Saunatimes. We all make better decisions collaborating and imagining the functionality of the space. Here is short walk through illustrating the sauna build in process (phase II: shell stage). We are facing the surround around the sauna stove with rock. It is not hard to do. First, we screw durarock to our studs. Then we apply the cultured stone to the durarock. Two types of cultured stone for this application: 1) mortared decorative stone or 2) mortarless manufactured stone We chose #2. This provides an air gap between the stone and the durarock. And check out Fortune Bay Casino article here. 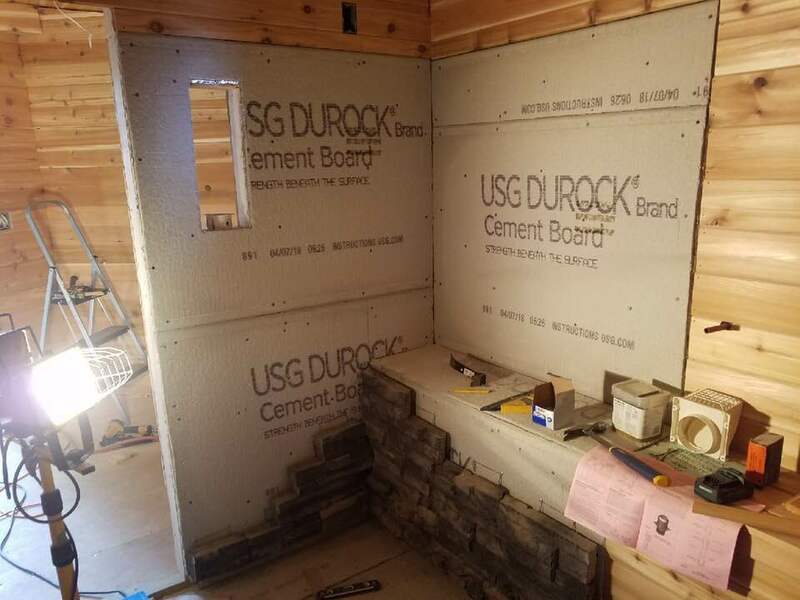 Yes, this is a mobile sauna, but adding manufactured stone against the durarock is not creating a massive amount of weight. Our sauna trailer can handle it. Stone behind our sauna stoves not only looks great, but is a thermal mass enhancer. 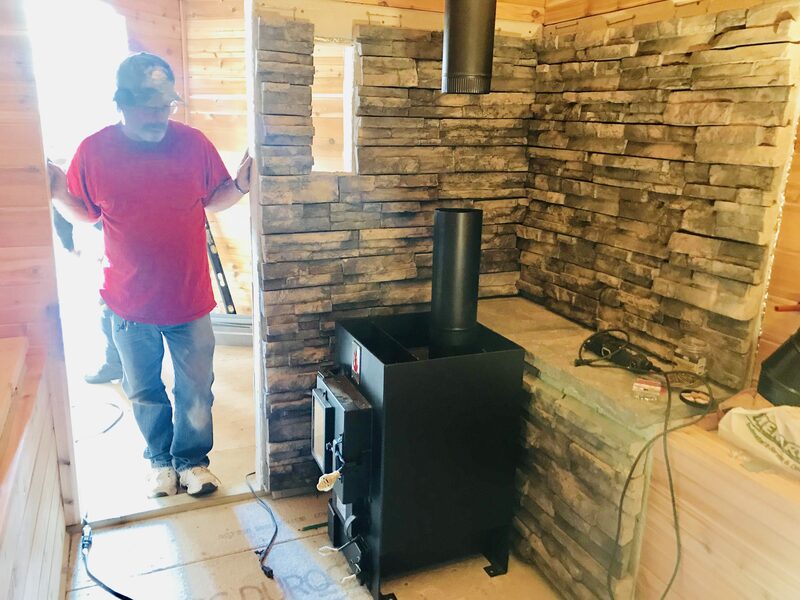 Stone behind our sauna stoves is aesthetically pleasing, complementing earthly elements (rock, wood, steel from the Iron Range). 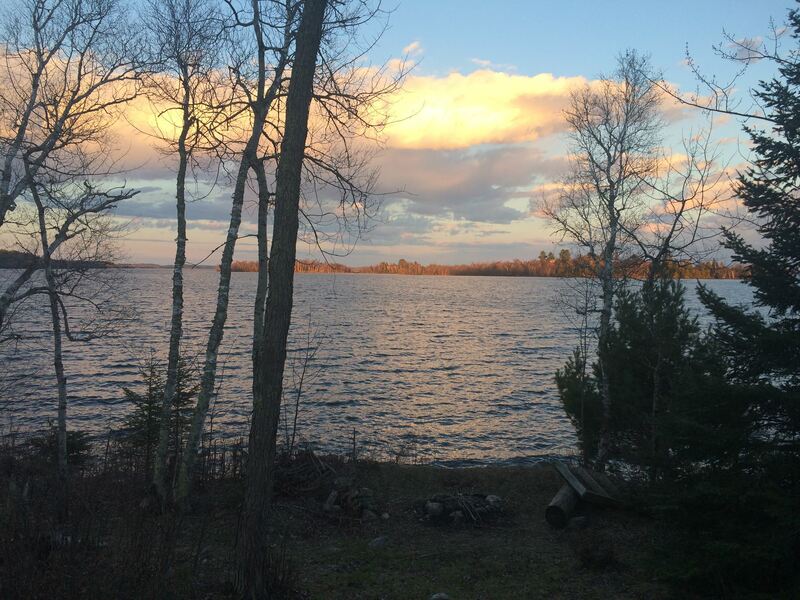 Additionally, the functional benefit for the sauna bather is an increase in thermal mass, providing a dense, intense heat that gets to our bones on an arctic cold winter evening (while trailered out onto 4 foot thick ice on Lake Vermilion). Stonework behind the Fortune Bay Casino wood burning sauna stove. No, this is not a savusauna. The stove pipe set up is incomplete during this phase. 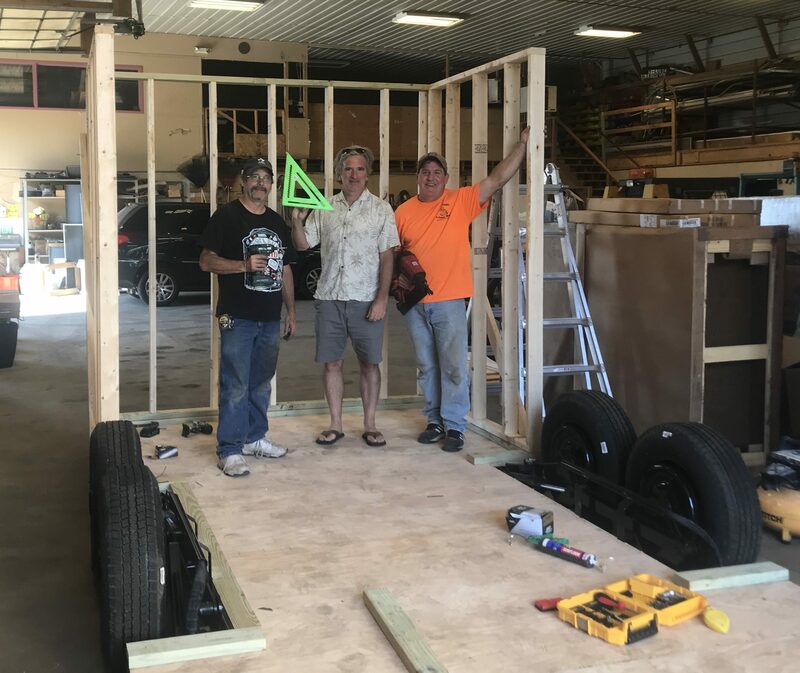 We are measuring for the steel plate which will support the sauna stove against the underneath framework of the sauna trailer. (Mobile sauna building tip #7). An another thing, cultured stone, mortarless stone, decorative stone is stone. In all our research and experience, this stone can get very hot, and does not off gas or do anything weird. And here we are, just weeks after pounding the first nail, wearing our Troxers by the shores of Lake Vermilion, enjoying our first sauna session. Totally awesome 👍👍👍The Finnish and Swedish people migrated to Wisconsin and Minnesota. My grandparents came to northern Wisconsin and settled there. Plans were already in the works to stop overnight at Fortune Bay next winter on our snowmobiling trip, sure hope we’ll be able to use it. This will bring me to fortune bay. Please note link to Fortune Bay in above.